How would you fight an enemy that has the ability to look and act just like an ordinary person? Ferran was such an interesting main character. The plot gave me just enough glimpses of his past to understand how he’d become the person he was in this tale. There were still things about his life that I wondered about, though, and it was interesting to think about those unanswered questions as I followed him on his quest. Figuring him out was challenging but also rewarding because I had to spend so much time putting all of the clues about his personality together. I would have liked to see more detailed explanations of certain terms that were unique to this world. For example, it took me a while to figure out exactly what the Order of Talan or the Ruins were because the explanations for them were so deeply embedded into the storyline. This would have made perfect sense if this story was the second or third instalment in a series, but it was occasionally confusing for an introduction to a series. The monsters were really well done. The narrator’s descriptions of them made my skin crawl, especially once the authors’ had finished setting up the main conflict and had more time to show what Ferran and his associates were up against. My favorite scenes by far were the ones that showed the audience what these creatures were capable of in horrifying detail. 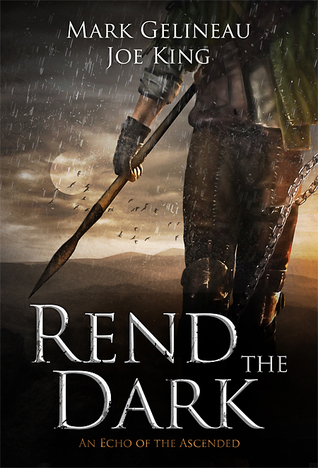 Rend the Dark made me shudder. I’d recommend it to anyone who likes seeing how the horror and fantasy genres can be mixed together.